Discover a number of top places to visit in Malta by boat, and the itineraries which visitors who love exploring the Maltese archipelago from the sea perspective recommend. Boasting 7000 years of rich history, the Maltese Islands offer one big open-air museum space to explore. Here the year-round sunshine, unique pleasant climate, and array of beachside locations perfectly marry a host of enjoyable outdoor activities to carry out while holidaying on the Islands. 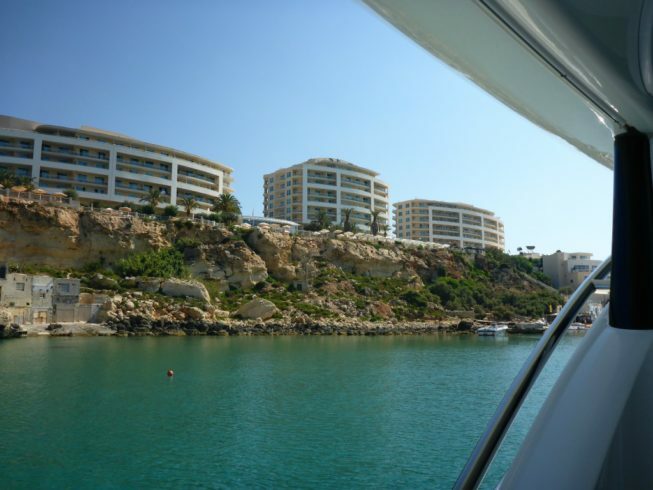 And what more idyllic location for leading the boating lifestyle than Malta and its sister islands? It has often been said that there is no better way to appreciate the beauty of the Maltese Islands than from the surrounding Mediterranean waters. Everything just looks so much more stunning from the deck. 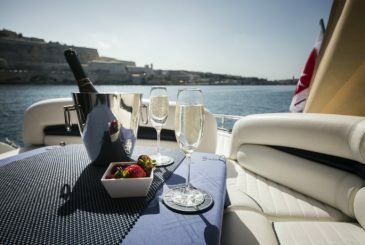 A Maltese holiday would simply not be complete without stepping aboard to soak up spectacular views and hidden gems along the shoreline that come alive from the vantage point of a boat. The Maltese Islands' azure waters, lined with an abundance of reefs, caves and wrecks, are ideal for unique diving and snorkelling experiences. Spectacular bays and secluded inlets surrounding the coastline provide perfect swimming and sunbathing spots, or even just the right place to drop anchor for some quiet, undisturbed relaxation. 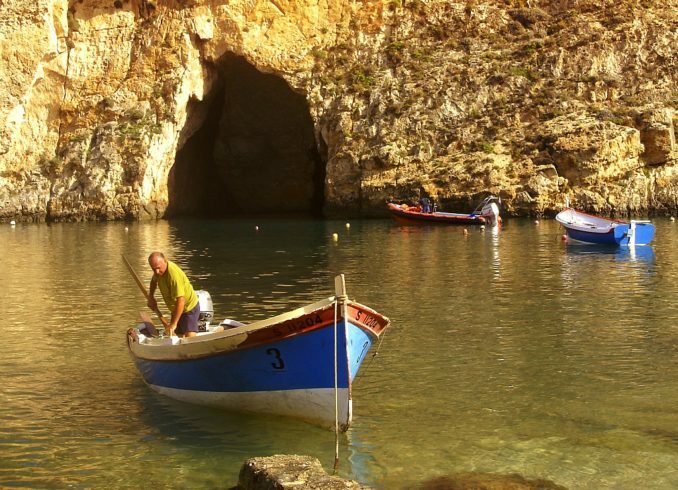 Gozo's exquisite Dwejra Bay is an absolute favourite among boaters holidaying around the Maltese Islands. Its stunning surroundings render the whole place simply picture perfect. 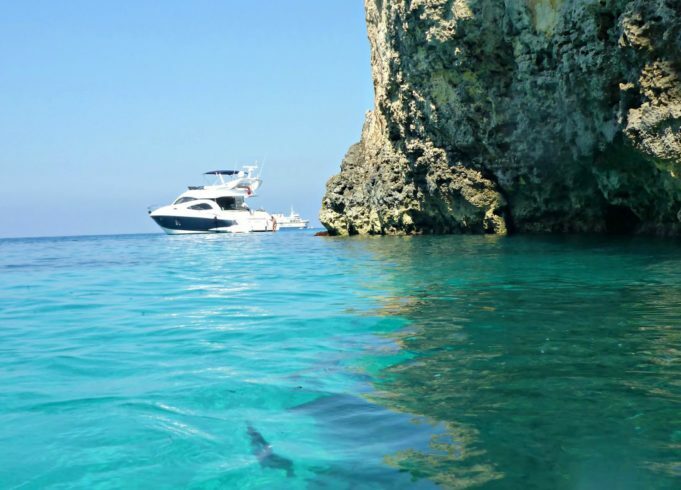 The small, still and secluded cove of Dwejra is a short boat ride away from the imposing natural Fungus Rock formation and its dramatic cliff backdrop. Colourfully populated with traditional fishermen’s boats, Dwejra’s natural inland pool of sea seeps into the open Mediterranean Sea through a long and narrow cave. This inlet makes for a shallow and safe swimming spot, while the open sea at the other end ranks among the most spectacular diving sites to be found round the Islands. 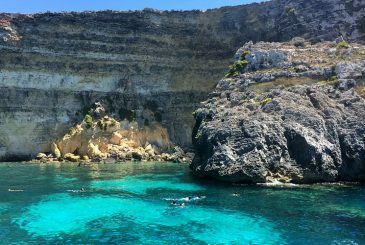 Situated between Gozo and Malta, this small island makes a top tourist spot that is especially popular among surfers, divers and snorkellers. The Blue Lagoon, with its immaculate emerald waters, white sands and thriving marine life, is Comino’s main attraction and one of the best sandy beaches in Malta. On the other side of the island lies the picturesque bay of Santa Marija, providing a much quieter and less crowded site for anchorage. This cove offers breathtaking views of the Santa Marija Caves dotting the shoreline, and of Santa Marija Tower – a 17th century structure dating from the Knights period. A perfectly good place for scuba diving and snorkelling, Santa Marija Bay is only a short dinghy ride from the wonders of Blue Lagoon. 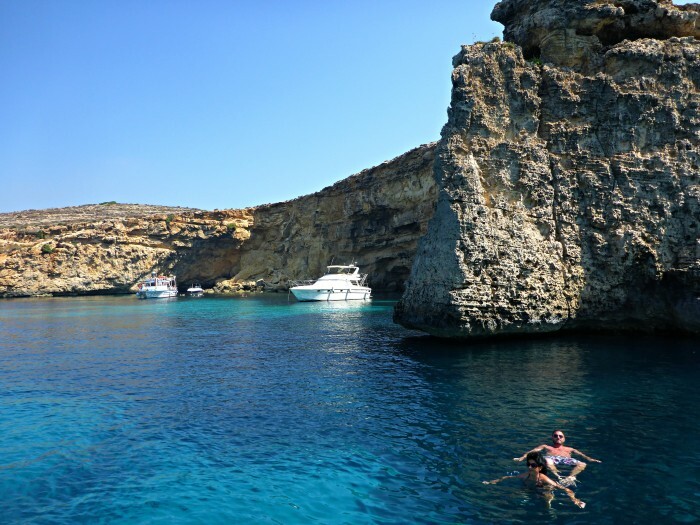 The northern parts of Malta offer a host of beaches that are great for swimming, snorkelling or simply anchoring for a thoroughly relaxed time. The largest and most popular of these is Golden Bay, a hidden sandy beach enclosed by unspoilt countryside and buzzing with activity all throughout the long summer days. During the day, sport activities both on and off shore attract locals and tourists alike, while after sunset the beach lights up with sizzling barbecues and party setups under the cloudless night sky. The luxury five-star Golden Sands resort hotel overlooking the bay also offers fine dining facilities to suit the most refined palates. The smaller adjacent Riviera Bay, locally known as Ghajn Tuffieha, also provides a scenic coastline perspective from aboard. Being a more tranquil, less crowded bay, it offers the most romantic spot for sunset watching. Further north lies the charming Anchor Bay, where one can view the multi-coloured film set of Sweethaven Village, built for the Popeye movie back in 1979, still standing intact. A boat trip round Malta’s Grand Harbour is the ideal way to capture some splendid sights of Valletta and the Three Cities of Vittoriosa, Senglea and Cospicua, among other top spots. This largest natural harbour in the Mediterranean region – and among the largest on a global scale – spans 3.6km. Featuring some formidable ancient fortifications all around, this centuries-old marine hub offers unparalleled views into the Islands’ varied and eventful history. Watch out for the landscaped Barrakka Gardens on the Valletta side, the historical Kalkara Creek, Rinella Bay – the only sandy beach in the area, and the coastal battery of Fort Rinella. The Grand Harbour was the site of the Great Siege of 1565, and witnessed many important episodes from the World War II period. 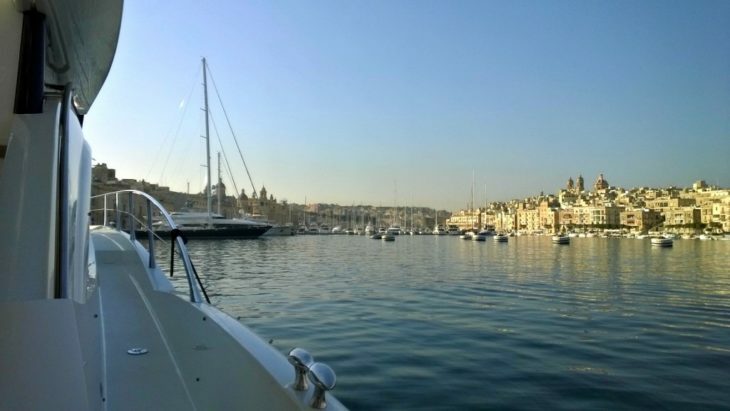 It is also home to the world-class Grand Harbour Marina in Vittoriosa, a main berthing location for luxury yachts hailing from all over the world. A view of the Grand Harbour from the deck highlights the magnificent honey-hued architecture to be found all over the Maltese Islands, beautifully contrasted with the bright blue tones of sky and sea. Set in the south-eastern part of Malta, Marsaxlokk is arguably the most photographed seaside village and the island’s main fishing harbour. Its waters harbour over 250 registered fishing boats, including the traditional yellow, blue, red and green-hued luzzus. A stopover in Marsaxlokk is a must on a Sunday, when the popular market day takes place ashore, featuring fresh local products and intricate hand-crafted lace items. Here, the tantalising aromas of freshly cooked fish and seafood from the daily catch will surely lure you inside one of the many restaurants situated right on the Mediterranean’s doorstep. To discover any of these spectacular sites and many others, visit the Azure Ultra Charters page and contact us for bespoke charter packages.